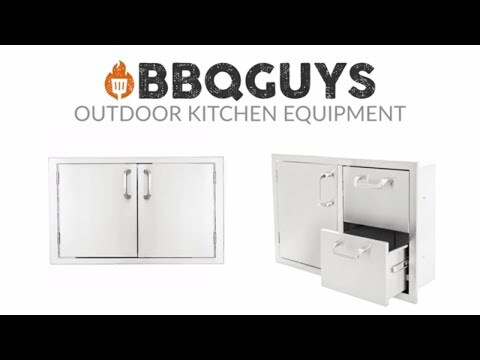 Save Up To $150 on BBQGuys Brand Storage! Limited time, spend $500, receive $50 off. Spend $1,000, receive $100 off. Spend $1,500 receive $150 off. Take your outdoor kitchen to the next level with the BBQGuys Aspen Series Outdoor Kitchen Storage Package, featuring matching hardware and finishes to give your BBQ island a seamless look. All included components are built for years of outdoor enjoyment thanks to heavy-duty, 304 grade stainless steel construction and 20 gauge frames for secure, flush-mounted installation. Easily access storage space in your kitchen island with double-lined single and double access doors. The double access drawer provides BBQ tool storage space and a convenient paper towel dispenser. The Roll-out trash bin includes two 13-gallon trash cans for a discrete waste management solution. All BBQGuys outdoor storage components are Made in the USA and are covered by a Lifetime warranty. 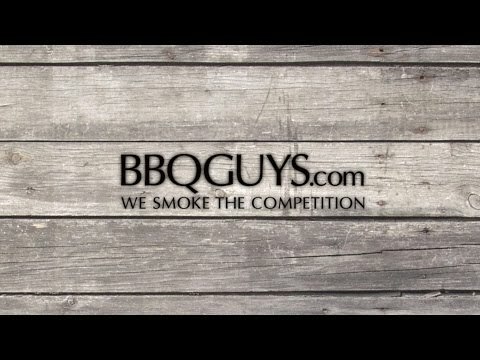 BBQGuys warrants the stainless steel parts to be free from defects in materials and workmanship for lifetime.